One of the things I love most about the Barcelona tech scene is that there’s something significant going on in every nook and cranny. Take this tiny office tucked away on the top floor of an old office building on one of Barcelona’s busiest avenues. It’s filled to the brim with thirty-some software engineers keeping their noses to the grindstone all day, working on building the best app in one of the most competitive markets today: ride-hailing. But wait, isn’t mytaxi from Germany? What are they doing in Barcelona? 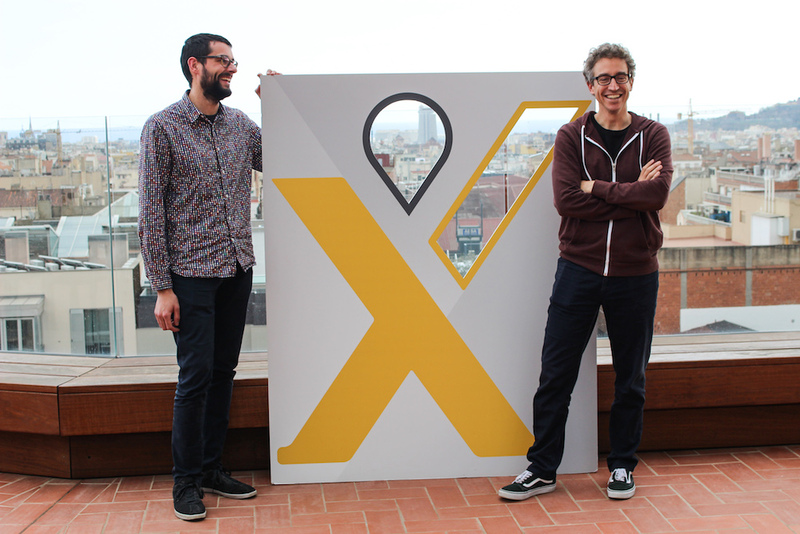 To find out how they got here and what they’re up to, we sat down with Nicolas Gonzalez, Engineering Team Lead and Marc Saborit, IT Recruiter at mytaxi, who shared with Barcelona Startup News the behind-the-scenes of the popular taxi-booking app. Here’s how they’re growing their presence in Barcelona, moving to a new office that’s ten times the size as the current one, and what technologies they use to accomplish their goals. Could you let us in on what led to the decision of starting to grow your team here in Barcelona, and where you are in the process? Nicolas: The history of the tech hub here in Barcelona changed radically just a few weeks after we started on 1 August, 2017. Suddenly, a decision was made that instead of a small office of around two teams, we need to grow to a hundred people. The reason is that we’re in a market which is moving extremely fast, and we’re competing with giants. Although mytaxi uses a different business model and only partners with licensed taxi drivers, we are competing with Uber, Lyft or for example Cabify here in Spain in the field of future urban mobility. The biggest companies in the industry have several thousand IT people – which is by no means a guarantee that they’ll come out with the best possible product, but it does help. So when the decision was made to grow the tech hub in Barcelona, it was partly because we wanted to somehow compete with those companies, and also because we noticed that we were able to hire a lot of good candidates here. 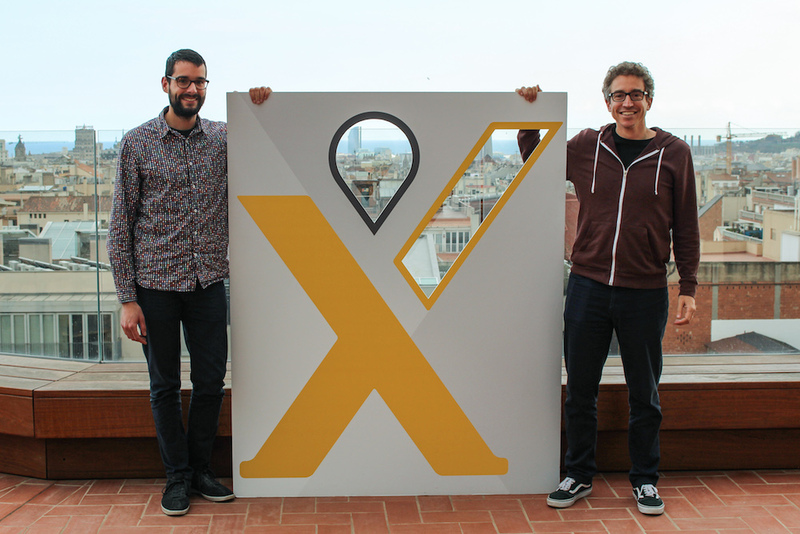 The current plan is to grow to double our IT people in mytaxi, distributed over Hamburg, Barcelona and Berlin. The Hamburg office is responsible for everything related to the passenger world, while here in Barcelona we’re building the driver’s app, and Berlin is focused on data science. Marc: When we decided to set up our second tech hub out of our headquarters in Hamburg, several cities were on our mind and each of them had their own potential. However, Barcelona was finally the chosen one due to its strong startup ecosystem and environment which will keep growing for the next few years. A key factor in choosing Barcelona for our tech hub was that it is a really attractive city to live in. It is quite difficult to beat the sunshine, the food, the beach and our lifestyle… As a result, many software development professionals see Barcelona as one of the coolest cities in Europe to build their lives and careers which makes it easier for us to find the talent that we need, although it is not easy at all! How long does it take to onboard the new people? What would I be doing for the first few weeks if you hired me? Nicolas: The onboarding process is different for each person joining us and it takes a long time, so overall, we don’t expect anyone to do anything productive for the first month. Which doesn’t necessarily mean that you won’t have the chance to do so! It also doesn’t mean that you’ll be surfing the web. When you’re joining us, you have a fixed agenda, at least for the first few days. The Product Owner walks you through the basics of the app that you’re going to be working on, then you shadow someone for a while, you make changes to the remote repository, and so on. The point is that you start learning from day one. We’re building teams from scratch, which is a lot different than trying to fill in just one or two positions within an existing team. We also have an international onboarding day every month at the Hamburg HQ. Every single new person that joins mytaxi goes to Hamburg for at least two days, where we explain the values that we live by, and walk them through the products that we have. They can ask questions from anyone in the management, the CTO, the CFO, whoever, and we also have a one-hour scrum training. We send people over to Hamburg with a very specific purpose: to absorb the culture, the practices that we have in place, to see how we work on urgent issues. Marc: One thing to keep in mind is that the taxi industry is a very specific one and we work very hard to make sure we understand and respond to its needs. As mytaxi our goal is to make both the passengers’ and taxis drivers’ lives easier. That’s why we work very closely with taxi drivers to listen to their suggestions and adapt our products to their needs; and this is something that all our employees are conscious of. Tell us about the tech stack. What technologies are you using? Nicolas: Let’s start with mobile. First of all, we believe in native applications. For iOs, at least 80% of the codebase is written in Objective-C, but we’ve started doing every single thing that we do in Swift. Is there a plan to migrate Objective-C to Swift? Yes. Are we going to be doing some sort of massive rewrite from day one right now? No, because we must be commercial, which is one of our values. But we are heading towards that direction. For Android, we use Java, and there’s a higher percentage of Kotlin than Swift for iOs. We are using the same approach: we’re taking some stuff onto Kotlin, but there’s a long way to go. As for the frontend, we use lots of different things. Overall, our legacy is angular, and we’re taking everything onto React. That’s why we’re looking for React developers. If you’re a React developer and you know a lot about Angular, that’s very much appreciated. If not, you’ll end up learning something, because you will have to maintain something written in Angular. But every single new thing, we do in React. And lastly, the backend part. It’s 99% Java using Spring Boot, Spring Cloud and all the trimmings, running on AWS. Do team members have the opportunities to pick the technology they use? Nicolas: In the driver app, we have 120-130 different microservices. Every single developer gets to choose, with caveats, how to do the all new microservices. Are we married to Java? No. If you find a reason to write something in Scala, why not? But you must have a well justified reason for doing that, it can’t just be up to your taste. You also need to take into consideration that you’re going to be the one who has to keep maintaining, supporting, monitoring that piece of code. You can use all the cool techie stuff as long as you have a reason for it. mytaxi has acquired and merged with several rival companies like Hailo, taxibeat and Clever Taxi. What kind of challenges did this mean in terms of technology and integration? Nicolas: The big UK firm Hailo was the first one that mytaxi merged with. We spent 6-7 months integrating it into mytaxi, and we learned a lot of lessons. First of all, that we could do it. Second of all, that we had to pay a high price for it, as it occupied a large share of our development resources for a long time. Since then, mytaxi acquired two more companies, and none of them have been integrated. Will we ever do it? Maybe, maybe not. The good thing is that all of them follow a microservices architecture. All companies have their own CTOs, they work in a separate but synchronized way. Right now, what we need to do is process all the data that we have from all of these companies, understand it and have the intelligence to make predictions for each company. I don’t see why we should be integrating them right now, but maybe in three weeks I’ll say something different. That’s how the market works. What learning opportunities do developers have once they join you? Marc: We recently launched the mytaxi mytraining program. Every single employee can propose a training program in their area of expertise, and anyone in the company who is interested can attend, either via a Zoom call or in person. These are internal trainings in groups of 10-20 people. They can be about anything from web development to leadership, motivation and coaching skills, agile or recruiting. We also have a budget for people if they want to attend a conference or an event that is relevant to their daily jobs. Nicolas: Roughly speaking, you can go to any European conference at least once a year. Also, if you’re interested in doing a course, you need to come up with an idea yourself. You tell us what you want to learn. Marc: We also have language lessons: English and the local language in every location. We’re a very international team and the language that we use in the office on a day-to-day basis is English, in Barcelona as well as in Hamburg. Let’s talk about the elephant in the (tiny) room. What are you going to do about the space? This office has amazing views but there’s no way you can fit another developer in here. Nicolas: We will be moving to El Triangle on Plaza Catalunya very soon. We’re going from 150 square meters to a massive space of 1400 square meters, which proves that the intentions of mytaxi to settle down here and scale the team are very serious. The driver management team, also based in Barcelona, is going to be joining us there. Finally, what’s the best thing about working here according to you personally? Marc: For me, it’s the culture that we have. Nico is the boss here, and you see how easygoing he is. Everyone is really friendly and approachable. This is one of the greatest perks. Another thing is that we want to hire the right people, but we also want to make sure that our project is the right one for the people we hire. We spend a lot of time in the office. If you’re just here for the sake of a job, or for the money, it’s just not worth it. We want you to enjoy the project, enjoy the technologies you use, enjoy your life here. Even though we’re working, we’re still having fun. That’s our mentality. 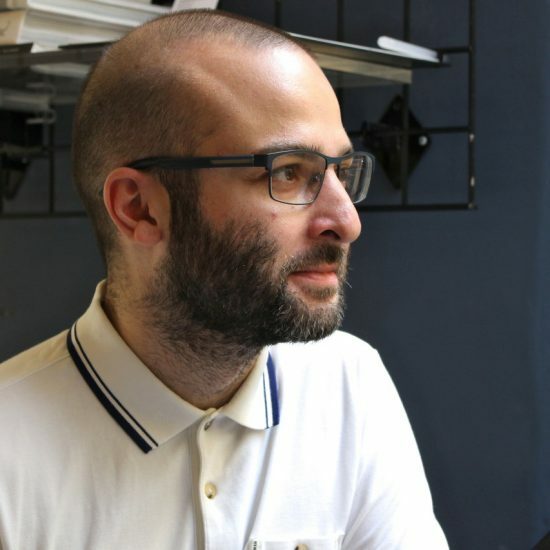 Nicolas: For me it’s that I can honestly say that I’m living by the values of the company. In most companies values are just something that you write on a wall. Here, we really live our values, and it’s something that we take very seriously and continuously work on. I agree with Marc that the culture and the environment are superb. You don’t need to ask for permission to do anything. There are no committees, no approvals. We hire you so you tell us how to proceed. We are also a blame-free company. We do not point fingers and we do not put the blame on anyone. We expect you to fail. I share my fuckups with the rest of the tribe all the time. So people know that they’re allowed to make mistakes. Finally, one of the best things is the recruitment process itself. We give the opportunity to the team to decide who we hire. The last step of the interview is always about inviting the candidate for a lunch, a beer or a coffee, so they can spend time with the people that they’ll be working with. Then the team votes, and they decide if we hire you. If there’s one thumbs down, we will not make you an offer. Marc: Some people vote on candidates the first day that they’re working here! For most people, this is completely new. It’s the first time that they have the responsibility to decide someone’s future.